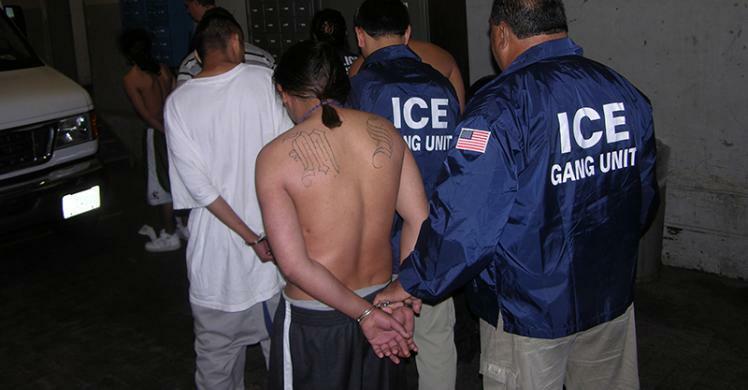 Working with the FBI and local law enforcement partners, Immigration and Customs Enforcement (ICE) indicted 24 members of the MS-13 gang in and around the Baltimore area. Of the 24 arrested, 11 were indicted on charges of conspiracy to commit murder. The indictment asserts that the MS-13 gang members are responsible for five murders in Frederick, Anne Arundel, and Montgomery Counties, and conspired to murder an additional eight individuals. The indictment claims that three of the five victims had been dismembered by the gang members. The ages of those arrested range from 19 to 36, although the names of six defendants remain sealed, suggesting that they may be younger than 18. Research shows that most MS-13 gang members are below the age of 25, with some documented as young as 14 years old. MS-13 and other immigrant gangs continue to thrive in states and cities with sanctuary policies. Both Baltimore and Montgomery County are sanctuary jurisdictions. The latter has a significant MS-13 presence, which has not gone unnoticed by law enforcement. In December 2017, Montgomery County Police Chief Tom Manger described the situation in grave terms: "you've got victims who have had their limbs cut off and just mutilated in a way that we're finding these bodies, it really does act as an indication that the violence is ramping up." Chief Manger continues to support his county's sanctuary law, despite the Fraternal Order of Police formally supporting President Trump's opposition to such policies. Further enforcement efforts are needed to stymie the reach of MS-13 in Maryland and throughout the country. The gang continues to grow, often luring both vulnerable immigrants as well as encouraging gang members in El Salvador to make the journey illegally to the United States. ICE and their law enforcement partners are continuing to focus their enforcement efforts on MS-13 cliques across the country.